You've probably frequently received spam e-mail offering you software at a fraction of its cost in high street shops. It can be anything from Windows XP to Adobe Photoshop. At times the price might seem tempting, especially if you're on a budget. But in most cases these are illegal programmes. Not only might they not work properly, there's a good possibility they could actively damage your computer and lead to identity theft. Pirated and counterfeit software is a huge global problem. In Western Europe alone it costs about £2 billion annually. You receive a spam e-mail solicitation offering you cheap software, at a very attractive price. You reply and agree to buy, paying at a web site by credit card. In return you receive either a download or a CD in the mail and install the software. That seems straightforward, but what have you actually done? Counterfeit software is one way organised crime in Eastern Europe and Asia launder their money. By purchasing it, you're helping them solve their problems. Also, you're taking on trust that what you receive - and the CD you get will likely be a CD-R or burned copy, with no supporting documentation - is what they claim. How do you know that what you ordered is exactly what you received? It's quite common for the anti-spyware,, for example, to be largely ineffective, or even malicious, installing its own spyware on your system, so the criminals can steal your information (and don't forget, they already have your credit card information). The price. Ask yourself why it's so cheap. How is it packaged? 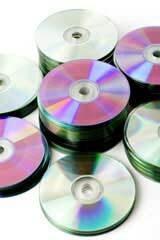 If it's CD-R discs in cheap sleeves, with none of the manufacturer's logs, it's counterfeit. What type of software is it? If it's marketed as OEM, NFR or academic versions, beware. OEM software is intended only to be sold with new hardware, such as a new computer, NFR (not for resale) are evaluation copies, and academic versions are intended only for teachers and students. Can it be registered? If not, it's a fake. If it's advertised as a "backup copy" it's counterfeit. Is there a warranty? Legitimate software and retailers always offer one. Besides simply not responding to this spam, there are ways to avoid being the victim of software counterfeiters. Look at the web site. Does it claim that their software is legal? If they even need to make the claim, they're probably counterfeiters. How long have they been in business, and where is the site registered? Be especially careful if the address bar on your browser displays a numerical IP address (e.g. /68.37.33.167) rather than a real domain name when you visit the company's site. Does their site provide a landline phone number and a street address? A legitimate company will show both. Read the user agreement. All too often these companies will include a clause that doesn't permit you to charge back on your credit card is the software. If you see this, stop the transaction immediately. You will be ineligible for software updates and technical support from the manufacturer. You might simply not receive the software you'd paid for. You might end up having your credit card number stolen. Check your statements carefully and challenge any activity that seems unusual. You may well be installing spyware on your computer. If you seek an anti-spyware programme, there are some good ones out there. But go to a trusted site. There are some legitimate software deals on the Internet. But the best rules of thumb are if it seems too good to be true, then it probably is, and you get what you pay for. Use caution and common sense, and investigate thoroughly before you spend your money.